I was dying to try out The Hungry Asian’s Sneeze Breeze and knew I wanted something simple that would really show it off and let it shine in all its glittery glory. I was inspired by this Black Ice New Year’s Eve nail art from Polish and Pearls, but in the end I chickened out and ended up with something much more basic. This is two coats of Orly Black Vinyl with two coats of Sneeze Breeze on the tips, plus one coat of Poshe. Hi, and thank you for checking out Polish Groupie, my new blog. I love doing my nails and buying cool nail polish, and back in the day (i.e. grade school and high school) I used to do my fair share of nail art. But, you know, life happens and sometimes fun stuff you used to do as a kid falls by the wayside. But my interest was recently rekindled when I learned that China Glaze was putting out a Hunger Games-themed line of nail polishes. 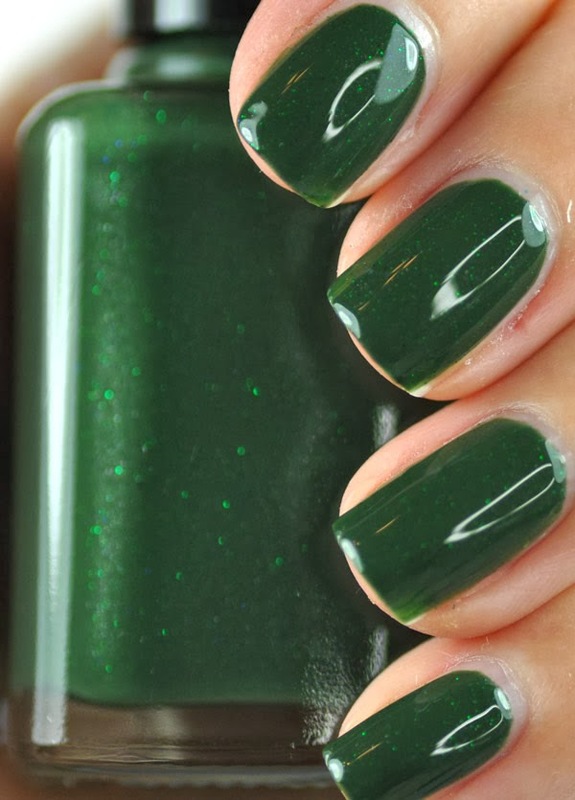 As I started looking around on the Web for information about the line, I stumbled upon the wonderful world of nail polish blogs. 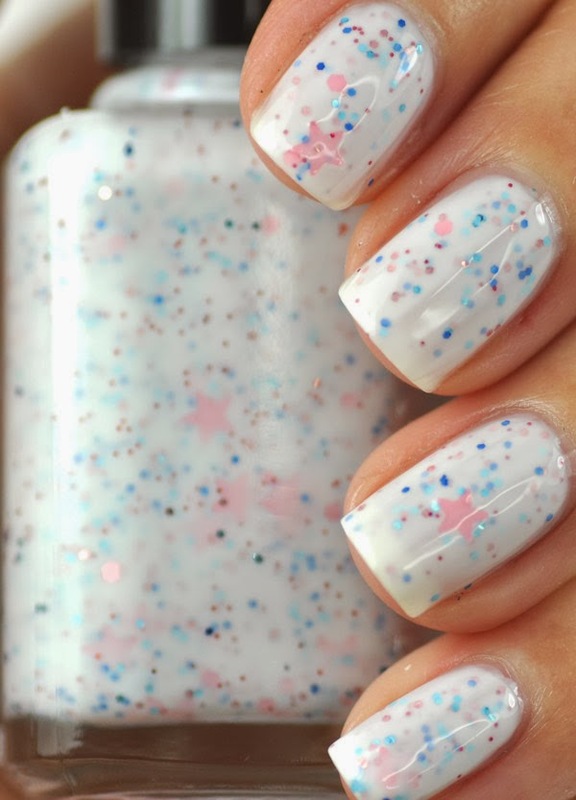 There are a lot of very creative ladies out there putting in a lot of time and effort to bring product previews, honest reviews and unique nail art to the world (some of my favorites are listed on my blogroll to the right, with many more to be added soon). From there I was introduced to the even more wonderful world of indie nail polishes, many of which are sold in limited release on Etsy. I didn’t even know people could make their own polishes, let alone sell them. Crazy! Maybe someday I’ll get there on my own, but for now I can just live vicariously through these mavens by buying their wares (when I can get my hands on them). I must confess that my collection is tiny at this point, but hey, you have to start somewhere. In fact I just received my first indie polish about a week ago, with a few more on the way. 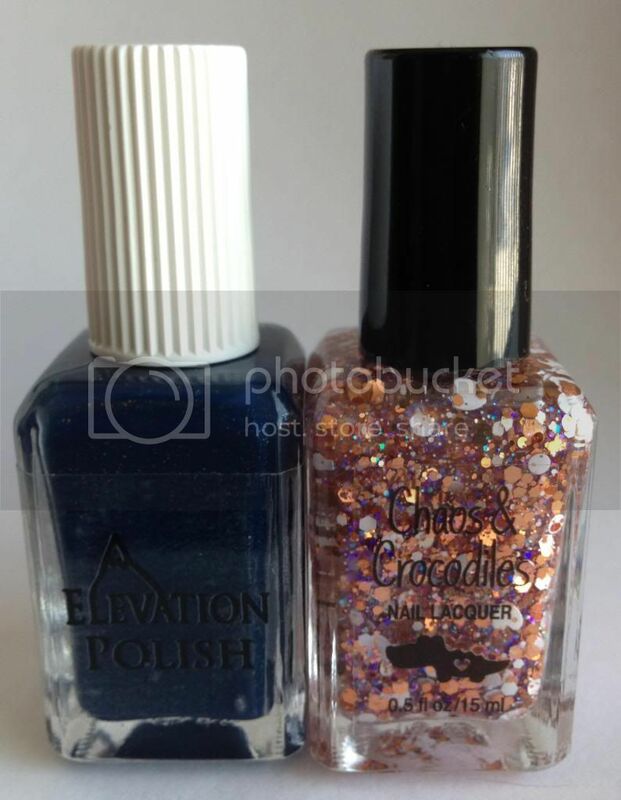 Here it is, Sneeze Breeze, a black/blue glitter polish with a clear base. It’s from The Hungry Asian on Etsy. Can’t wait to show it to you as part of a manicure.